To enable the of connection of multiple classic games consoles and computers to Sony PVM monitors which have BNC inputs for RGB and Sync via a SCART connector. This cable is also suitable for other professional monitors which accept R-G-B plus separate sync signal via BNC inputs. 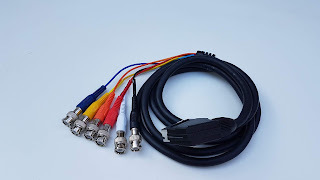 The video signals, Red, Green, Blue and Sync are outputted via BNC connectors and the left and right audio is outputted via two separate phono plugs. 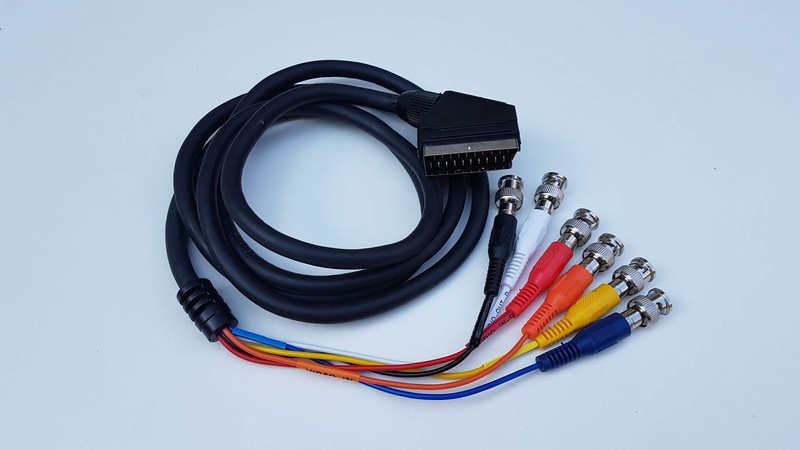 This scart cable allows the connection of games consoles and micro computers which use European RGB SCART cables, such as the Sega Mega Drive, SNK Neo Geo and Super Nintendo / Super Famicom consoles. 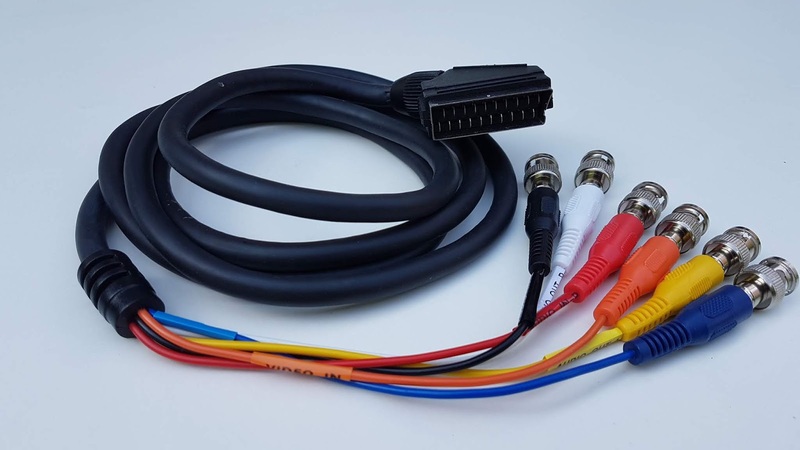 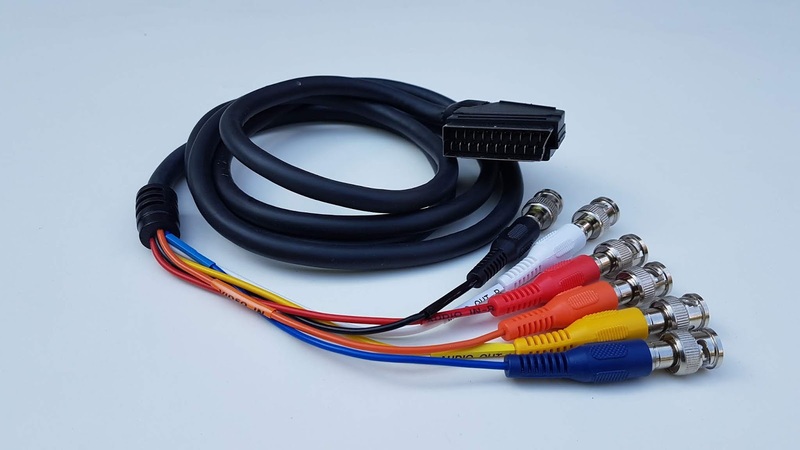 This cable can also be used for MAME projects, as this will allow you to connect a PC to an RGB tube / CRT TV mounted inside an arcade cabinet via an Extron VGA to RGB down-scaler.